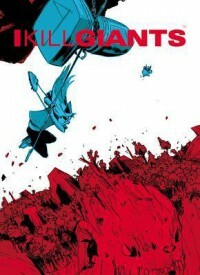 This comic collection centres around Barbara, a young schoolgirl, who claims to be a giant-killer. The story involves friends, family, a school counsellor and others. All the characters are well-formed and the story is also about personal tragedy and self-belief. The artwork is black-and-white line drawings on the whole which does not always make it easy to follow, especially in digital format. However the plot is touching and illuminating – which is why I recommend it to all and sundry.